When you're handling calls relating to funerals, being 'human' can go a very long way. It might seem obvious, especially when calls are sensitive in nature. However, sometimes the stress of the situation, the volume of calls taken and the need to get the call right means it can at times start to feel robotic. It's important to remember that every call you take is a new person with a new level of grief and emotion. They're not just a phone number on a sheet. It's a difficult time fraught with complex feelings and often requires a greater level of sympathy and support. Crucially, it's important to take the business element out of the call. The person calling doesn't want to feel as though they're speaking to a contact centre or outsourced customer service. They want to feel as though they're talking to a person - a human being who understands their emotions and can relate to how they're feeling. Speak to them as you would someone in your own family, rather than as a potential customer. Break away from 'scripted' empathy - it shouldn't feel robotic. Bring your own natural kindness to the conversation and put yourself in their shoes - understand their situation. Think about how you would want someone to talk to you if you were ringing up about the funeral of a loved one. Listen to what they're saying, rather than just 'hearing' to respond. It is important, though, that in being human and relating to callers, you keep some professional boundaries. Saying "I understand and I want to help you" can go a long way, but getting upset with them can lose the credibility and control in the conversation. While you need to show compassion, the person calling will most likely also want someone who can provide direction and guidance. Often they won't have done this before and will want someone to exert a level of control over the situation to ease the burden for them. This is where you can help. While the final decisions must be theirs, you can help guide them by presenting all options clearly and concisely in a helpful way. The goal is to be encouraging, reliable and supportive. Let them know they're in capable hands. It is common for call staff hired to be naturally kind, empathetic and sympathetic in character. It is a huge responsibility to speak with these grieving families and being able to create a caring experience is key. Remembering that your customers are 'only human' is crucial to creating effective and strong connections with your callers. When you receive a lot of difficult calls on a daily basis, it can be overwhelming and make it difficult to offer the same consistently great service you want to provide. That's where Frontline come in. 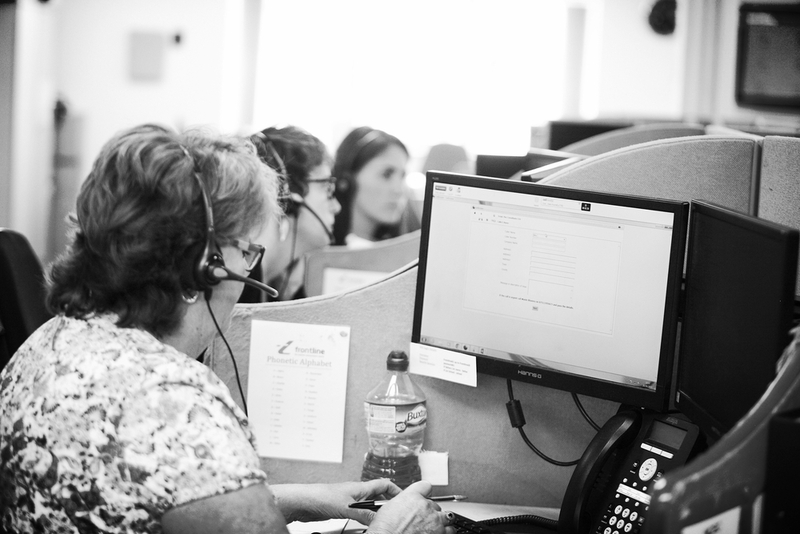 To find out more about how our outsourced customer service for everything from funeral call handling to first-line IT support can help you better connect with your customers, contact us today. David is the Managing Director at Frontline Communications Group Ltd.